One of our biggest challenges is keeping the van clean. It’s such a small space that our entire living space is like the entryway of a house. There is always sand in the bed. Whenever we are camping for more than a night, we put out our CGear Sand-Free Mat outside our sliding door. It’s a mesh tarp that lets sand fall through it so we don’t track it inside. We often just put the Sand-Free Mat outside our door partially folded—kind of like a welcome mat. Our Sand-Free mat has been really handy whenever Ian fixes our van as well, so that he doesn’t have to lay on the dirty asphalt. With such a tiny living space, we like to expand to the outdoors whenever the mosquitos aren’t too terrible. We have two Helinox One Chairs that we use all the time. They weigh less than two pounds, and they take up about the same amount of space as a Nalgene. They are really easy to set up and take down. They can hold up to 320 pounds, and even bigger people find them comfortable to sit in. 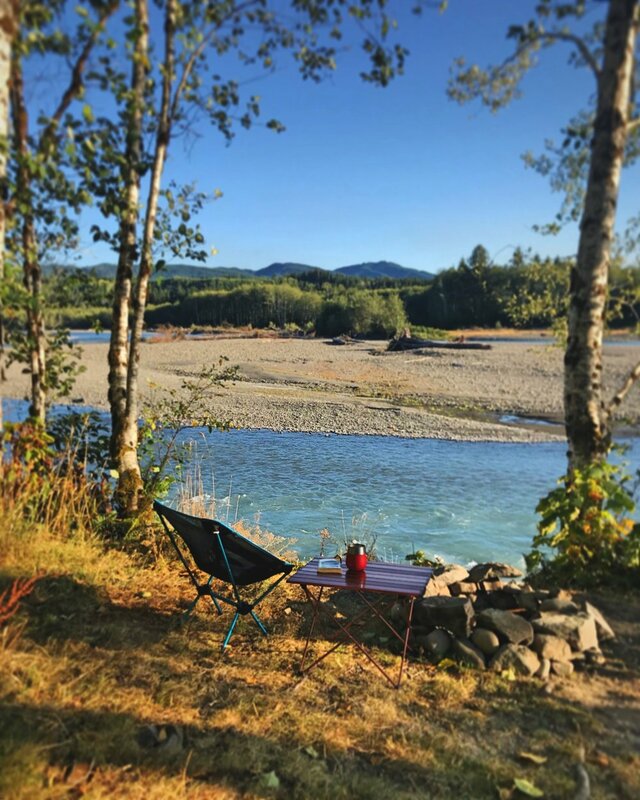 Using our Helinox chair and our Trekology table by the Hoh River in Washington. Kaylee relaxing in a Helinox One chair the Toiyanabe National Forest near Lake Tahoe in California. My brother picked out this outdoor folding table as a Christmas gift for us last year, and it’s come in really handy. We often use it along with the Helinox chairs when we are eating outside. It can also hold up to 50 pounds of weight, so we have used it for cooking when there is no picnic table nearby. It’s sturdy enough to hold our heavy chuck box and stove. 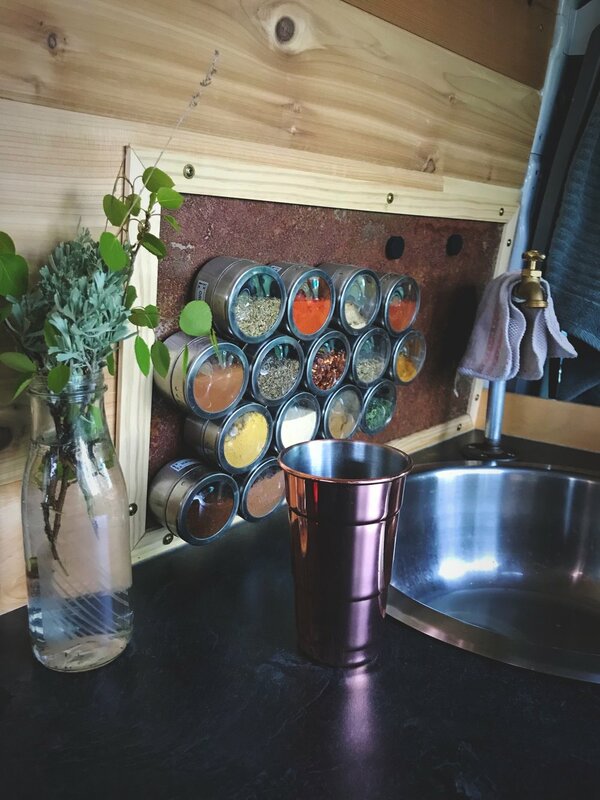 Plus it’s a super cute copper color and it folds up super compact for storage in the back of our van (about 22”x6”x3”). Our Trekology Table is really handy for eating outside, and it collapses to a very small size for storage. Living on the road we listen to a lot of podcasts and audiobooks. 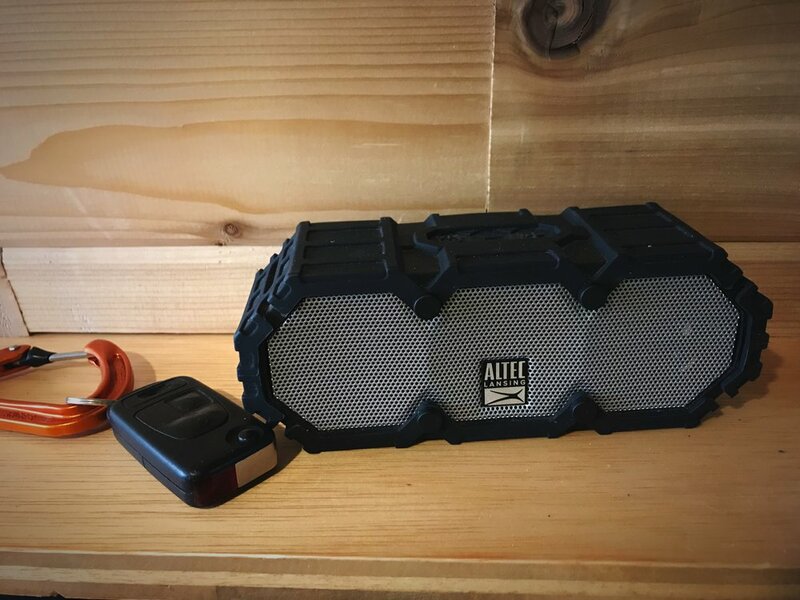 We use our Altec Lansing LifeJacket speaker all the time. It’s even waterproof! 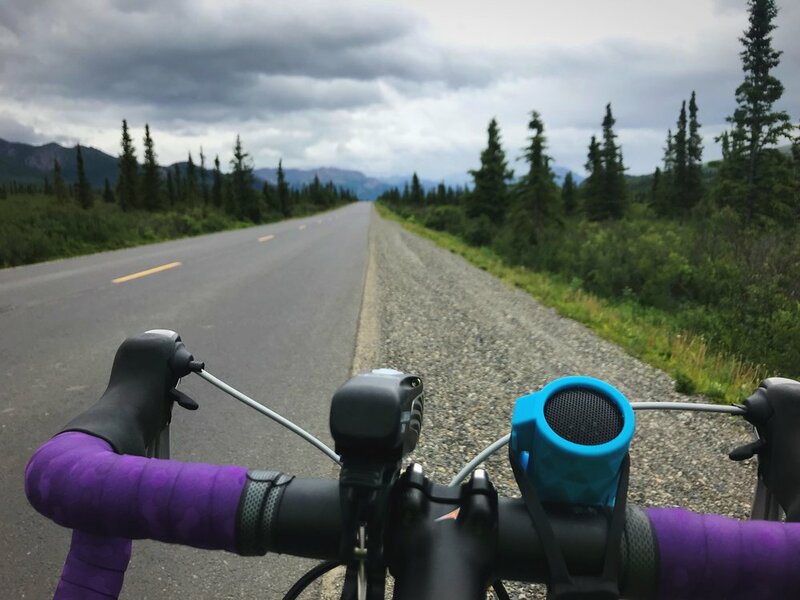 If the travelers in your life are cyclists, you might also consider this all-weather, shock-proof Bluetooth speaker from Outdoor Tech that can be mounted on a bike. I used mine for commuting by bike in DC for over a year, and it’s still going strong. It’s so portable that we also ended up clipping the speaker to our backpacks when we were in Canada and Alaska so that we were constantly making noise to alert grizzly bears to our presence. We use this speaker almost non-stop in the van! These bike-mounted bluetooth speakers are great for getting Google directions while biking. 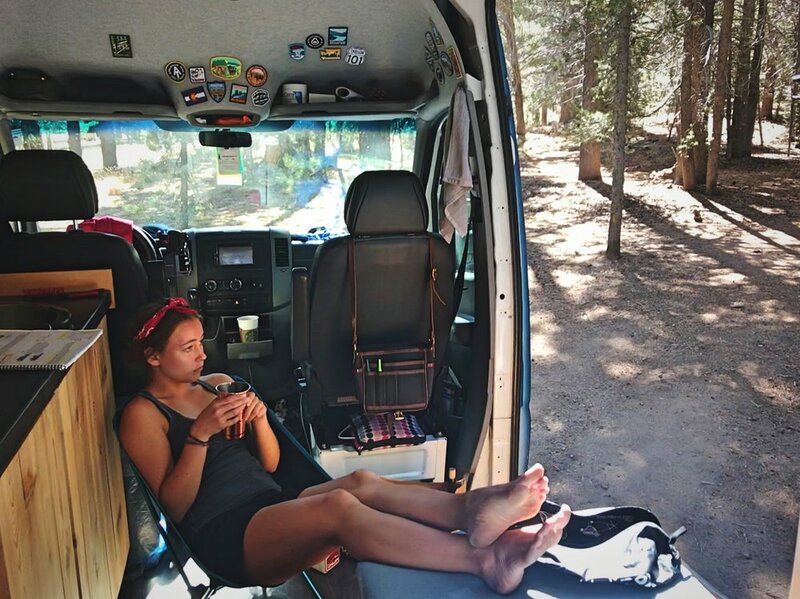 Most vanlifers lead pretty active lifestyles. Fitness gear that doesn’t take up too much space is a great gift for travelers. 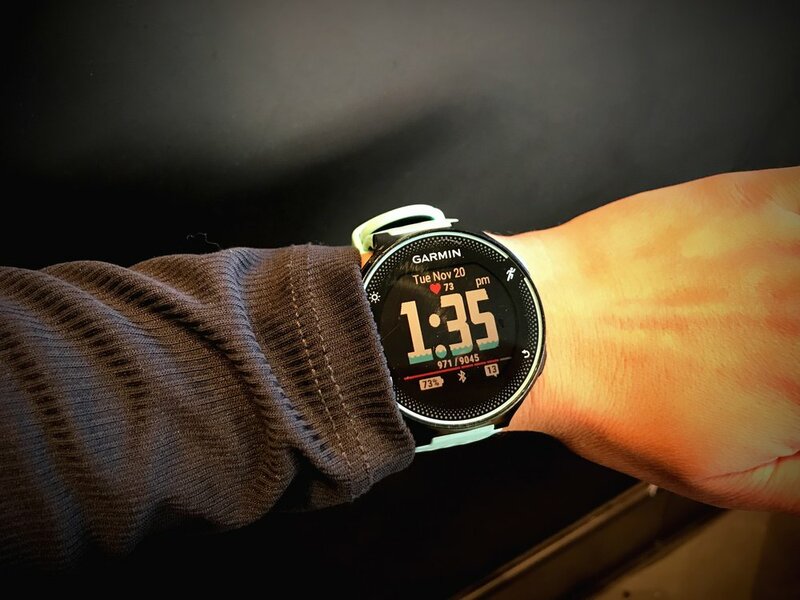 We do a lot of trail running, and my Garmin ForeRunner 235 GPS watch allows me to track my distance, heart rate, pace, cadence, etc. (Plus I love that I have QoMs on Strava all over the country.) We also use my Garmin watch simply as a navigational tool when we are hiking or backpacking—it’s really helpful to know how far we’ve gone. 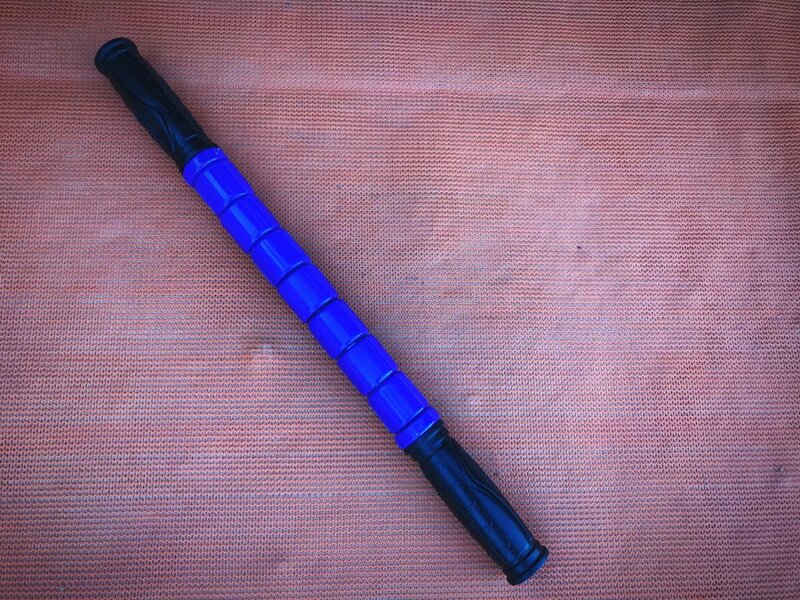 Besides my watch, we couldn’t live without a compact rolling stick for getting the knots out of sore leg muscles. Queen of the Mountain, here I come! Rolling out tight muscles after a bike ride. This muscle roller hardly takes up any space in our van. 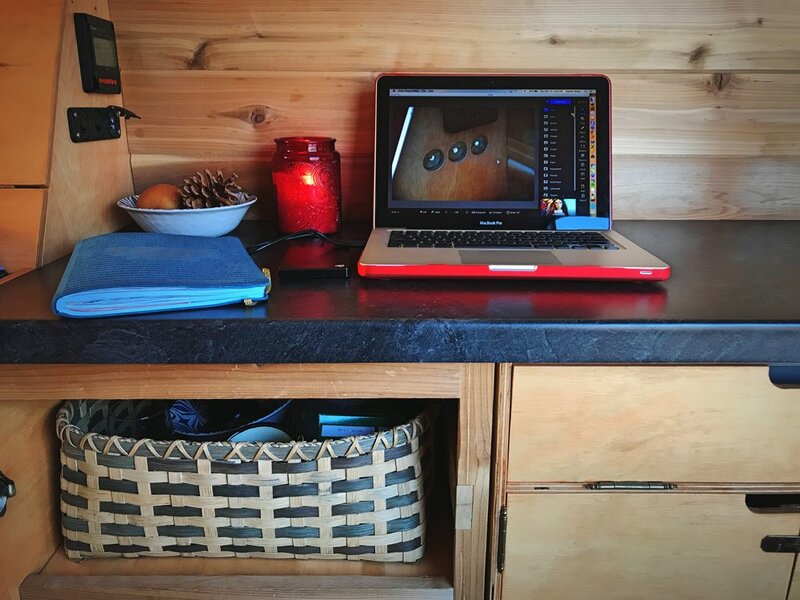 Streamlining our kitchen was really important to making living in our van comfortable. We have a lot of little things that make our kitchen more convenient, like this collapsible colander. 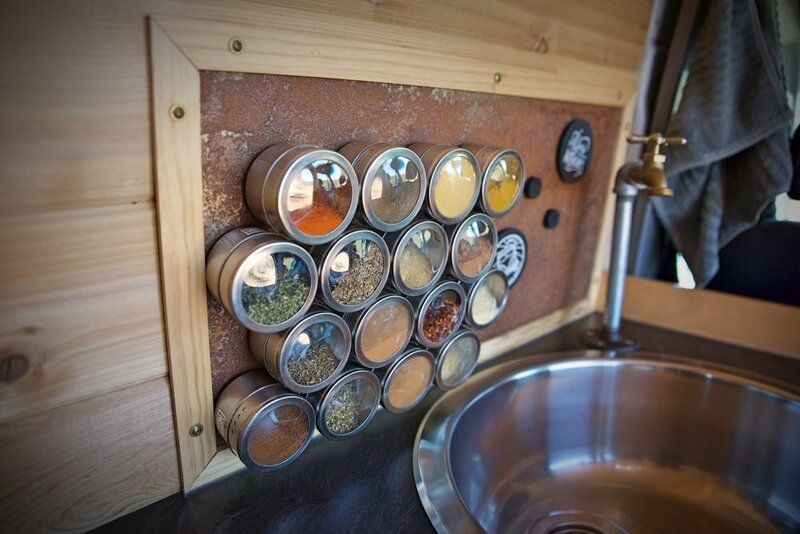 One of our favorite items is our set of magnetic spice tins. We have 16 different spices and herbs that are easily accessible. We don’t have to go digging through all of our dishes and food just to find the cumin! We were a bit worried these would fall off our magnetic backsplash while driving, but we’ve only ever had one or two fall down on really bumpy roads. The spice tins are the most commented on item when we show people the van. We never feel like we are lacking flavor, because we have most of the spices people typically use on a day-to-day basis. 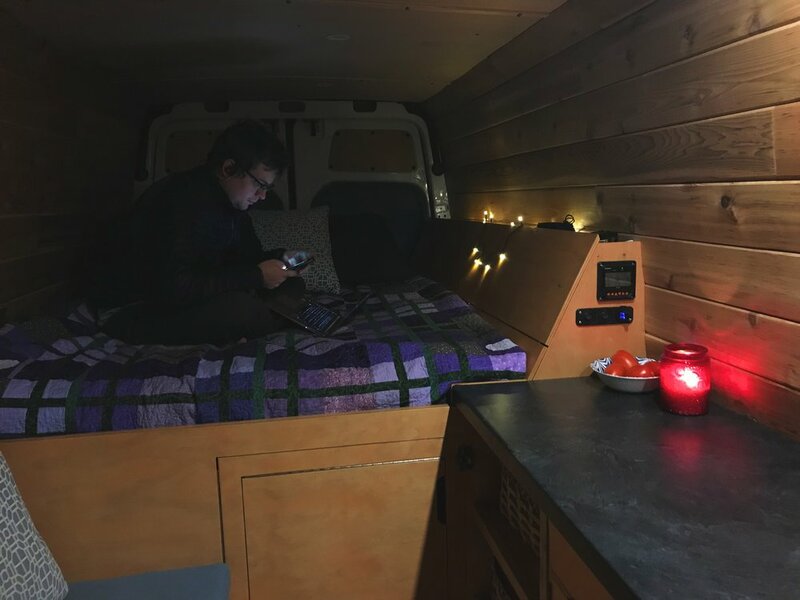 We have solar power in our van, but making sure devices are charged is a big challenge for many people living on the road. We have a couple of small external batteries that we use when we are on the move. 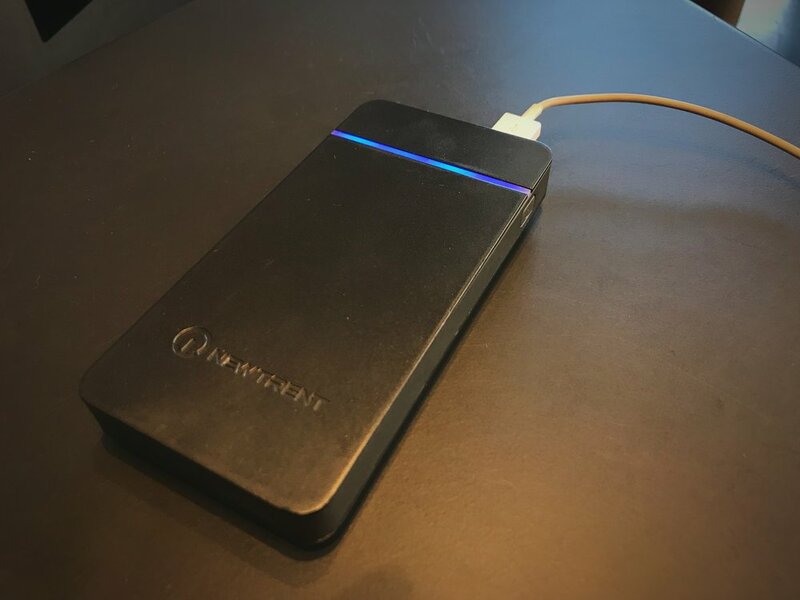 We can charge them on the 12v USB ports connected to our solar battery and then take them with us wherever we are headed. Since are phones double as our cameras sometimes, we often even bring these batteries when we are backpacking so we can take pictures throughout our trip. Besides small external batteries, a lot of vanlifers carry these larger solar generators/power banks, which also have an AC power outlet for powering things like laptops and other 120v appliances. These little guys are really handy for charging phones on the go. 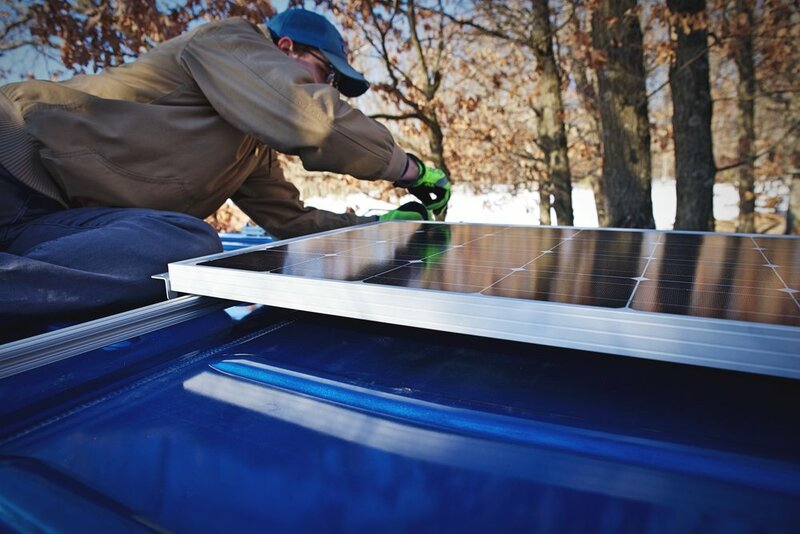 We can charge our external batteries off our roof-top solar panels and then take them anywhere. Guess what? Our van usually stinks. 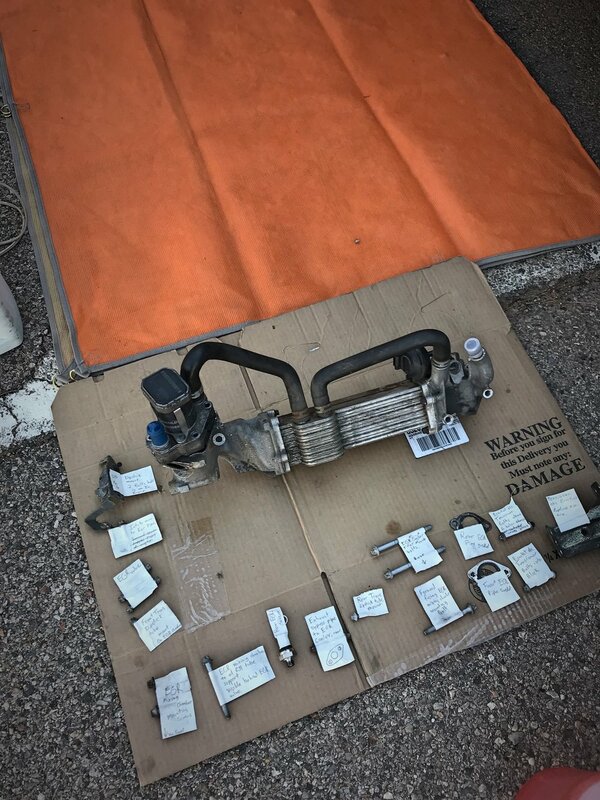 Sometimes like yesterday’s dinner, sometimes like brake cleaner and greasy engine parts, and sometimes like Ian’s sweaty running shoes. To combat the stink, we have one really nice candle from Anthropologie that we sometimes burn in the evenings. It’s a natural soy-wax candle so it’s better for you than a traditional candle, which is important in such a small, enclosed space. Make sure to get a candle with a lid though, because we have to put the candle away in a cupboard every time we drive. Anything that is consumable is a great choice for people living with less. Nice food items like good coffee, wine, chocolate, or energy bars are always appreciated. Just make sure not to buy anything that has to be cooked in a microwave, oven, or blender, because most vans don’t have these appliances. It might not seem that exciting to you, but our main regular expense in the van is fuel. A gas card for a national chain is guaranteed to be used and appreciated by the vanlifers in your life. Along the same lines, everybody has to eat, so grocery cards for supermarkets where your loved ones are traveling is another good option. Gift cards take up literally no space, and they allow people to choose food items like produce, which for obvious reasons can’t be given as a gift. A grocery card allows the recipient to pick whatever food they would usually eat, especially things like fresh produce that can’t be given as a gift. Okay, okay, this is the last gift card suggestion. But seriously, there are Starbucks everywhere! And they always have consistent WiFi connections, which is usually the excuse I use to indulge in a Pumpkin Spice Latte. 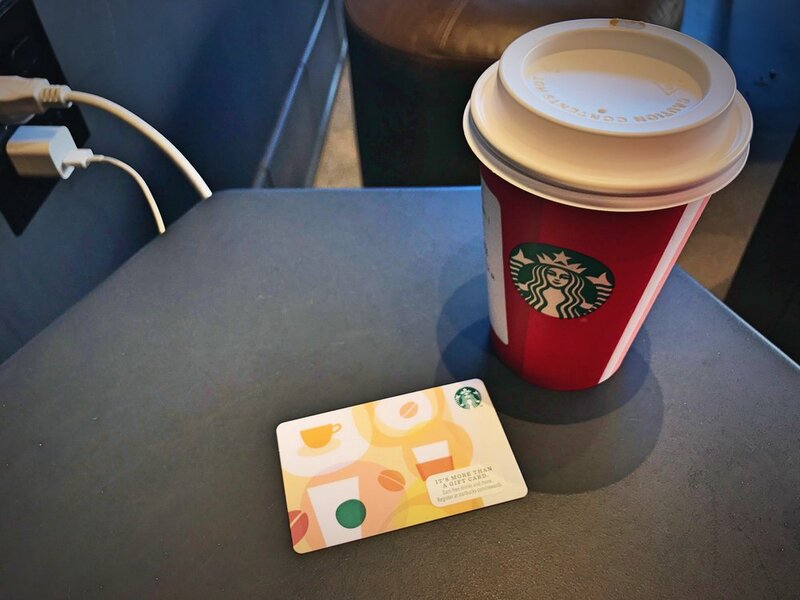 Not everybody loves Starbucks, but there are plenty of other nationwide chains that offer free WiFi, including Caribou Coffee, Taco Bell, Denny’s, and others. Starbucks may not always be the best coffee, but it’s consistent. And the WiFi is really consistent too. 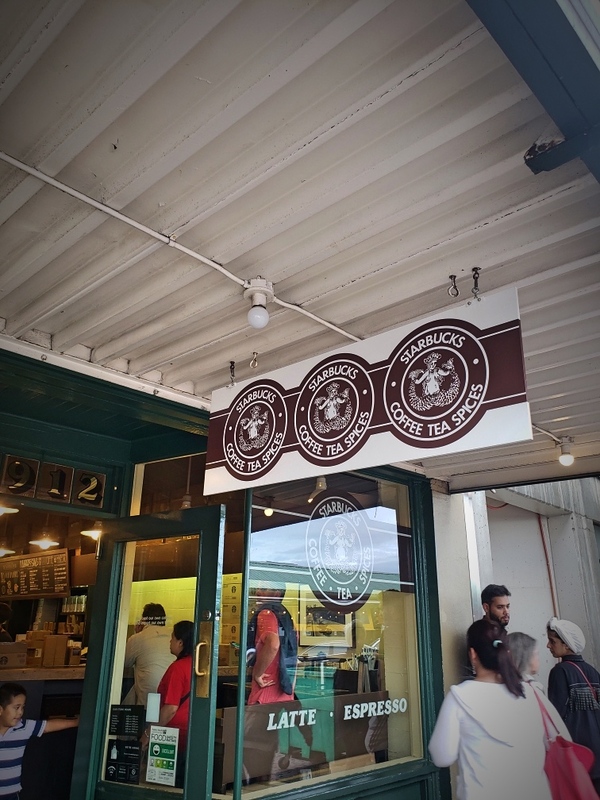 The first Starbucks at Pikes Place Market in Seattle, which we visited on a bike ride. These are amazing coffee mugs. They keep coffee hot for about six hours. We often will brew our coffee straight into the Hydro Flasks on cold mornings so that our coffee doesn’t get cold immediately in the cold air of the van. Plus a reusable travel mug reduces waste when you’re visiting Starbucks! 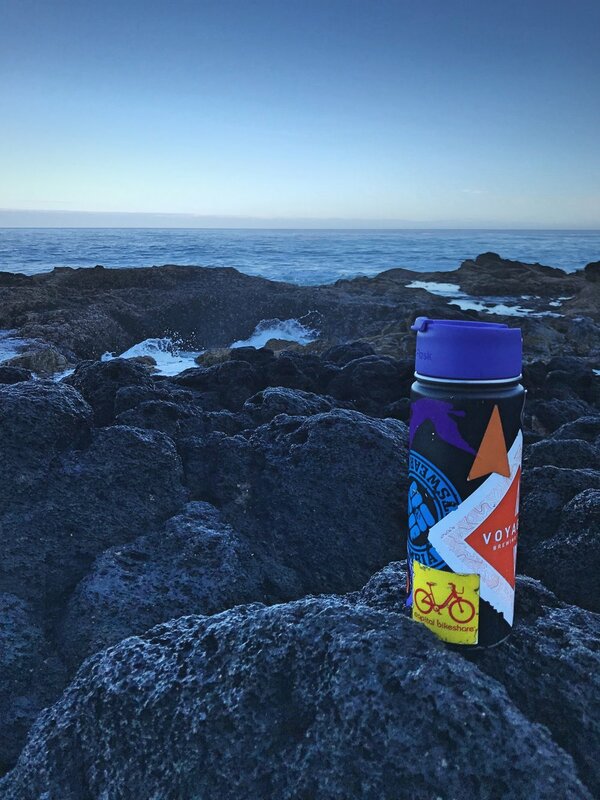 Hydro Flask—perfect for boat rides big and small! 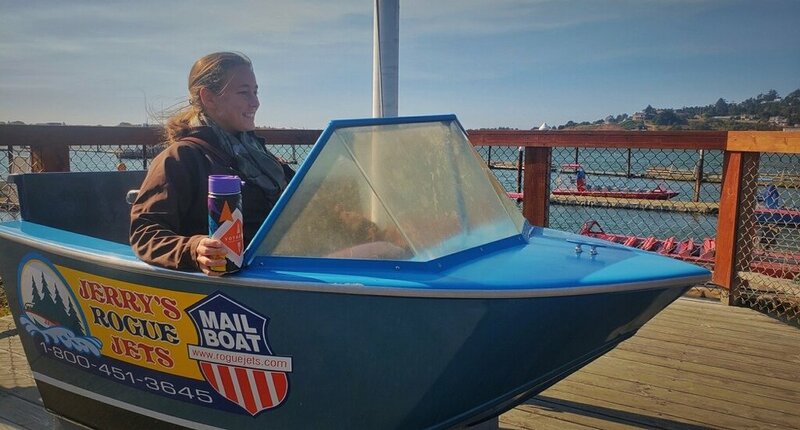 If we want to enjoy a chilly sunrise by the ocean, we can still have hot coffee. 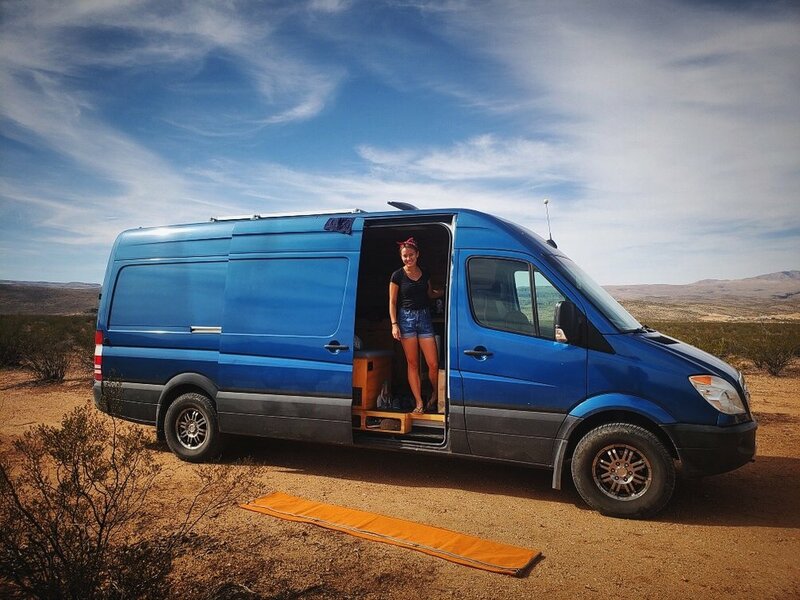 The point of vanlife isn’t living in the van! It’s the places it can take you. Ian’s grandparents bought us a National Parks Pass last year for Christmas, and we have used it in 16 parks so far. Not only does it get you into National Parks, any federal forest or BLM land that has a fee is covered under the America the Beautiful Pass. This is another gift we have received in the past and used to an unexpected extent. Whenever we don’t have cell phone service and we need to figure out where we are headed, we get out the trusty atlas. 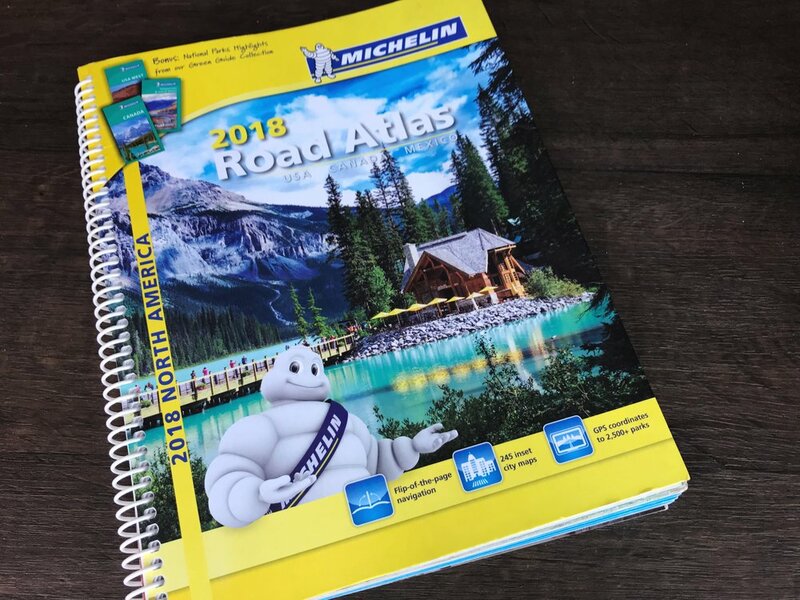 We have a Michelin Atlas that includes Canada and Mexico, and it’s one that highlights state and national parks and public lands so it’s perfect for us. We’ve had a really fun time exploring random “points of interest” on the map too. This was a really helpful gift from Ian’s dad. 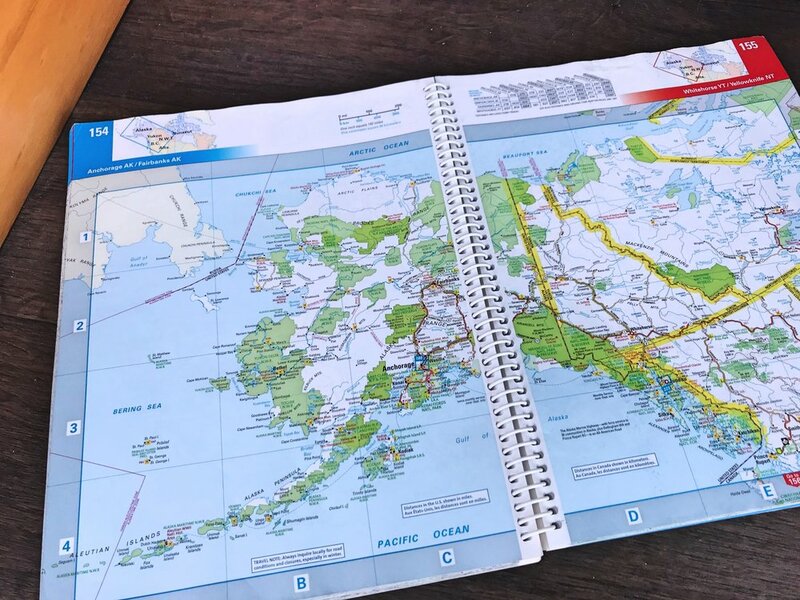 When we were in Alaska and Canada, we used the Milepost and this atlas almost exclusively for navigation because we rarely had good cell phone service. Books are another great low-tech gift option. When I’m done with a book, I usually stick it in a free little library for someone else to enjoy and then they don’t clutter up the van. Books about adventure are great inspiration for travelers. 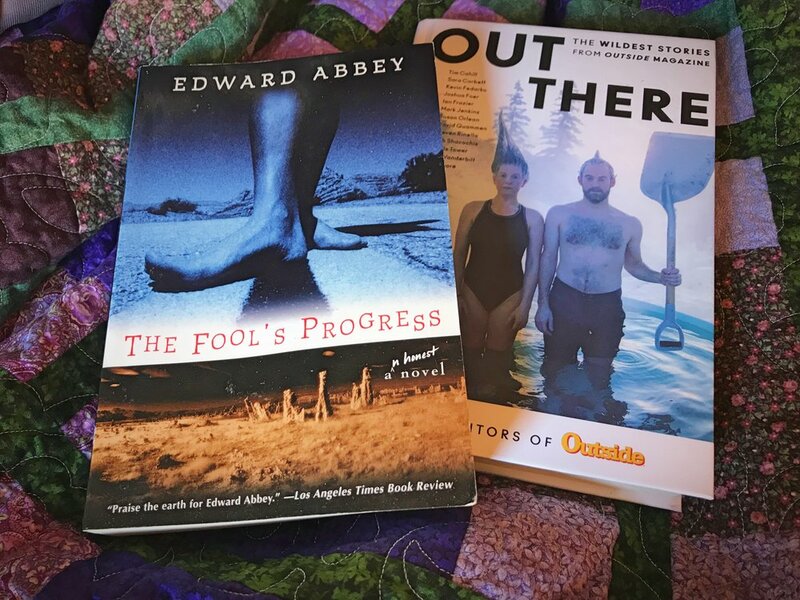 · The Fool’s Progress is the last book Edward Abbey, who is sometimes called the “Thoreau of the American West,” wrote before his death. While it may not be as famous as Desert Solitaire or The Monkey Wrench Gang, it’s my favorite book of his. · Two Wheels North is an account of two boys who rode bicycles from Santa Rosa, California to Seattle in 1909. I read this book while we were driving south along roughly the route they took, which in 1909 was just railroad grades and wagon tracks. · Finally Out There is a book with 30 of the best stories ever published by Outside Magazine so it’s sure to be a hit with any outdoor enthusiast. A few of the books I have read recently. Two Wheels North has already been passed along to someone else! 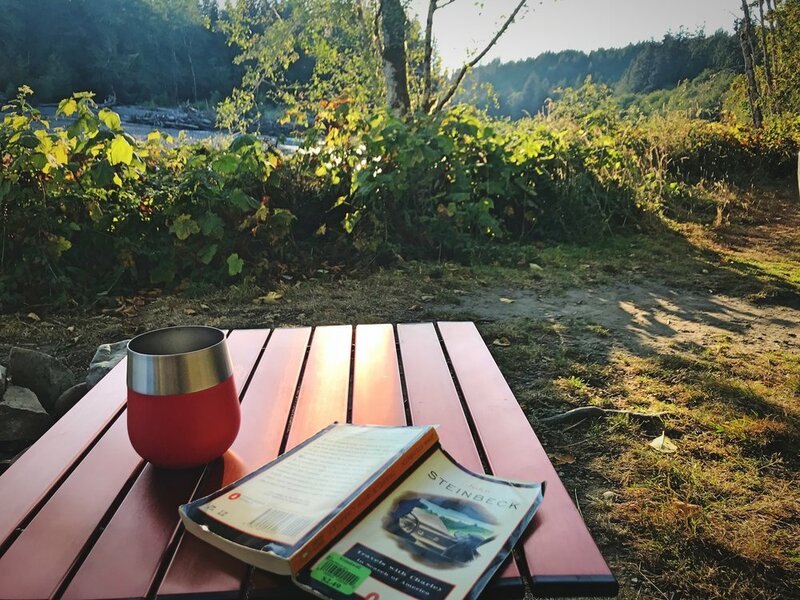 Living on the road gives you a lot of time for reading. Experiences are fabulous gifts for people living a minimalist lifestyle. We try to travel pretty frugally so we don’t often splurge for guided tours or tickets. A great gift might be kayak, canoe, or bicycle rental vouchers, a white water rafting day trip, or tickets to a concert or museum. 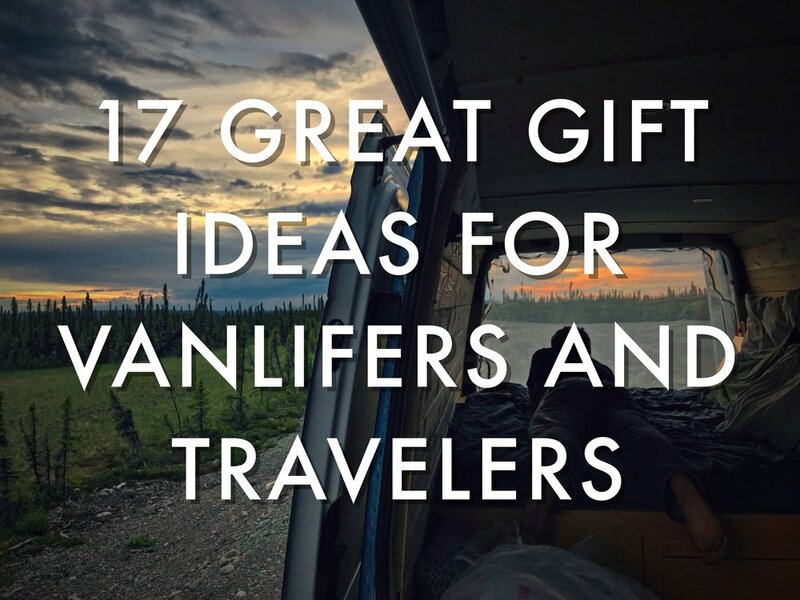 For this gift to work you’d have to be pretty sure about where in the country (or world) your vanlifers are going to be traveling though.